Another baby card for a ongoing "Cards For A Cause" at Splitcoast Stampers. Another great way to showcase this sweet baby boy. I'm getting better moving paper to Cameo and using the paper. 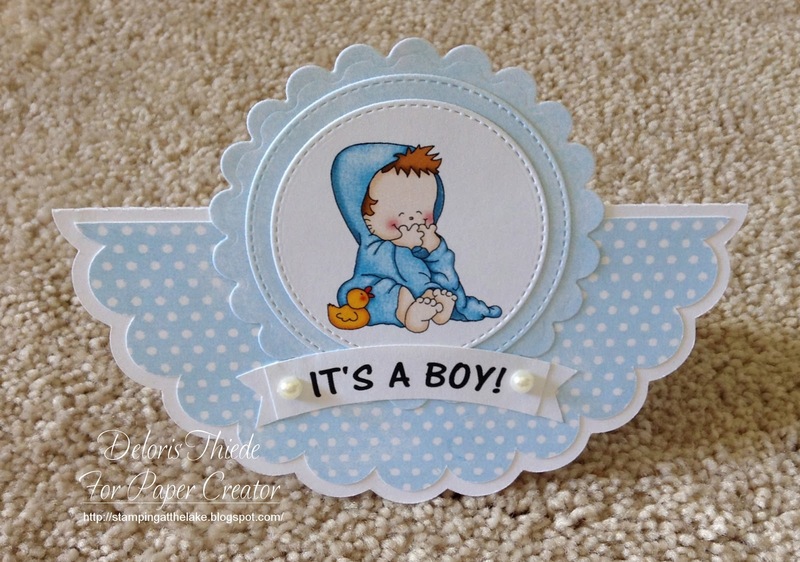 A sweet card Deloris, such a super design. A great card - such a cute design.